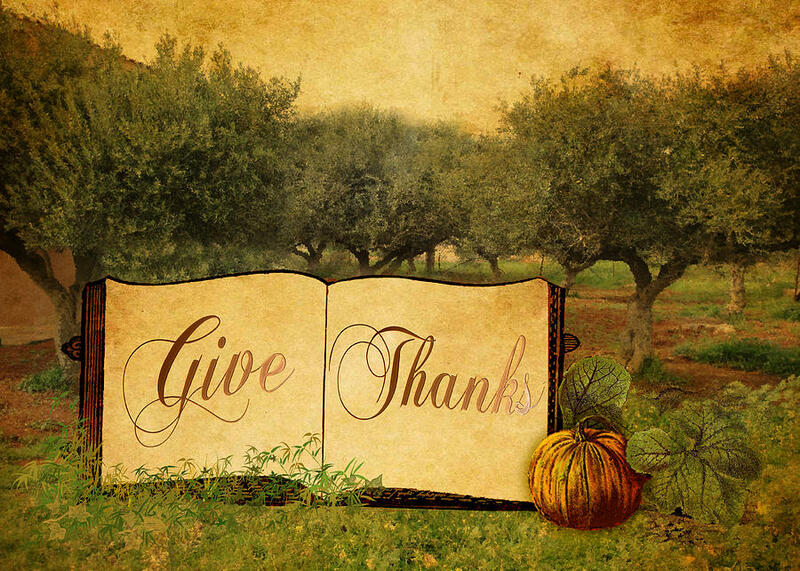 Give Thanks is a piece of digital artwork by Sarah Vernon which was uploaded on September 30th, 2013. 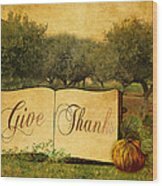 The main image is a photograph of our garden � they�re actually Cretan olive trees in the background � and a couple of textures. 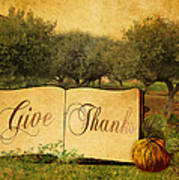 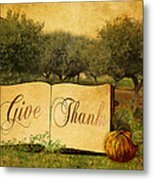 I�ve used Photoshop to create a Thanksgiving scene with a pumpkin from The Graphics Fairy and an open book from The Cottage Market.